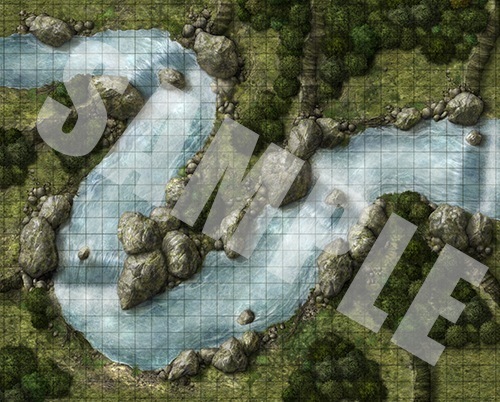 Whether your party is at the mercy of deadly rapids or is headed toward a plummet over a crushing waterfall, no Game Master wants to slow the action down by drawing every river bend and jagged rock. Fortunately, with Paizo Publishing’s latest Pathfinder Flip-Mat, you don’t have to! This line of gaming maps provides ready-to-use and captivatingly detailed fantasy set pieces for the busy Game Master. 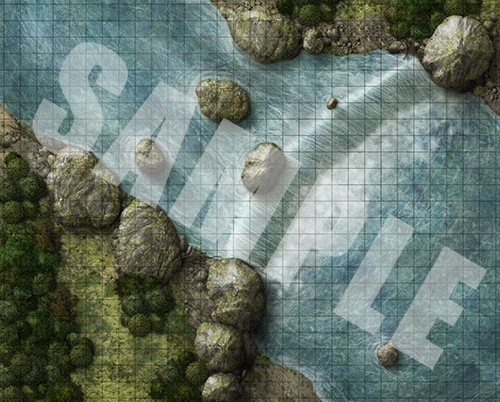 Whether the heroes are in flight or pursuit, this double-sided combat map features rapids, rocky bends, misty falls, and ambush spots aplenty! Don’t waste your time sketching when you could be playing. 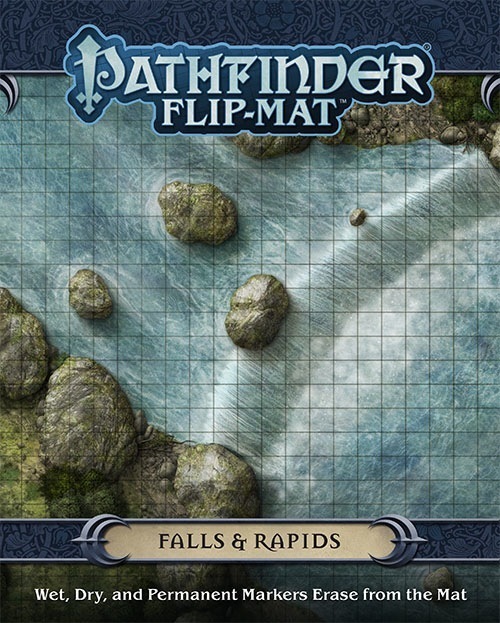 With Pathfinder Flip-Mat: Falls & Rapids, you’ll be ready next time your players find themselves up the river without a paddle! Super, wonder what's on the reverse. I really hope the rivers are wide enough that PCs can't just jump over them. Sounds like another map that could easily become a peace of beauty (like the last forest map) in addition to being useful. Looking forward to this! Those images look really great; in fact, stunningly good! There's just so much water that I don't think these are very good or exciting to use during play -- unless everyone can fly around, or you are able to put additional maps around these to avoid "chokepoints" during combat. Fantastic art, just like Deep Forest. But, aren't chokepoints the entire reason for having such terrain as part of an encounter? I am looking forward to getting this for just that purpose!